Holidays in Rural India offers carefully curated trips to less visited parts of India. We believe in slow paced travel, focussing on a few well chosen destinations, giving visitors the chance to engage more deeply with India, her people, her landscape and her wildlife. With thirty years of travel experience in India, all of our accommodation and experience providers are more than just business partners: they are friends. Travel with us, and that hand of friendship is extended to you. It’s all about the People: With its twenty-nine states and many hundreds of dialects, India is many countries in one. More diverse than Europe but with an overarching warmth and open-heartedness that cannot be overstated: walk through any Indian village with a friendly smile and you’ll be invited to perch on a charpai, take a cup of tea, admire the newest baby and compare the differences between ‘hamara gaon’ our village and ‘aapki desh’ your country. And the Wildlife: A wealth of bird species with particularly rich pickings in the Western Ghats and fabulous winter migrants in Gujarat, plus of course mammals from pygmy shrews to mighty elephants and the spine tinglingly wonderful Bengal tiger. 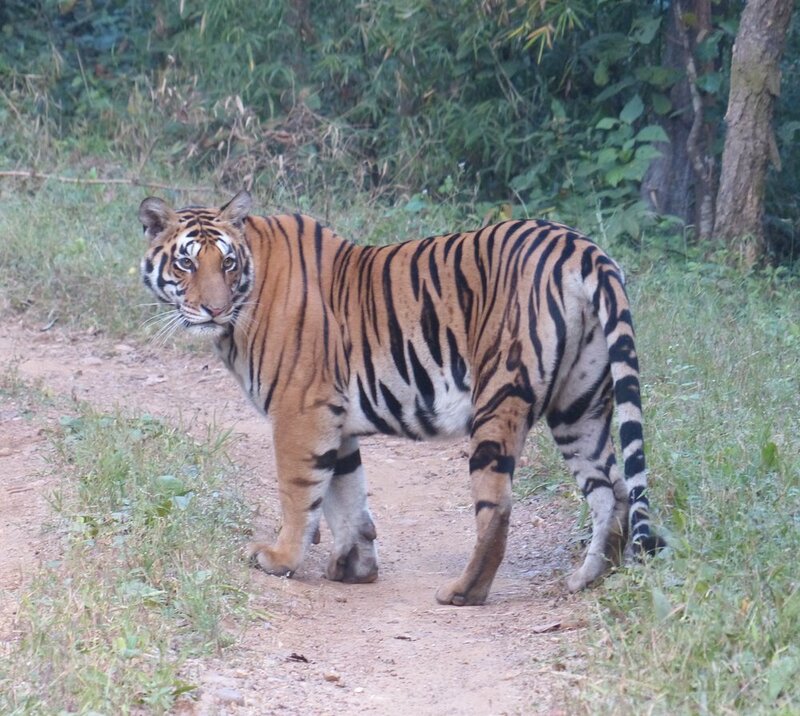 We send the majority of our guests to Shergarh Tented Camp at Kanha National Park where we believe the balance between appreciating the glories of the forest and looking for marvellous stripes is perfectly managed. And the Landscape: Starkly beautiful salt deserts in Western Gujarat; rolling hills and sal trees in Central India; lush rainforest in South India’s Western Ghats. The diversity of landscape also offers a diversity of experience. From treks in the shola forest of the Nilgiri hills to village walks in the central tribal belt, to slipping away alone in a canoe along Goan backwaters, a world away from the crowds. India has it all, and we find its quieter corners. And the Monuments: India’s architectural history goes back thousands of years and we continue to be amazed by the wonders that lurk in almost every village. 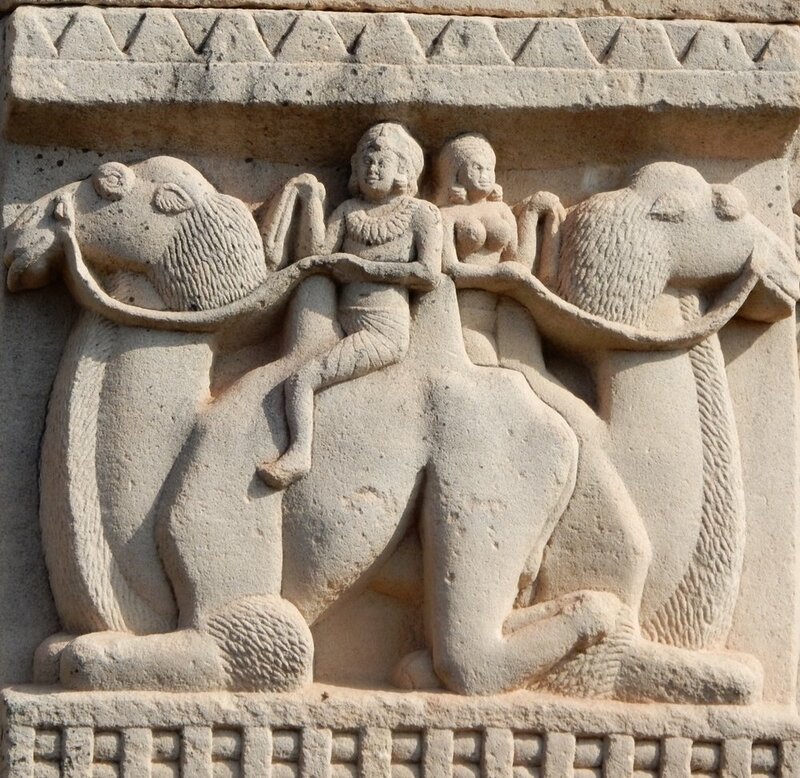 Bhopal is our favourite historic centre with the second century BCE Buddhist Stupa at Sanchi just one of the Unesco World Heritage Sites within a couple of hours of this unsung city. You’re likely to be one of just a tiny handful of foreigners here. Our preferred port of entry is Mumbai, a safe and friendly city with an airy feel due to its coastal location. One of our stars, Husna, a Muslim woman who started a new life as a cab driver to fund her children’s education, will be your first contact at the airport. There are direct flights from London that take about nine hours; prices for direct flights range from £500 - £650 but you may be able to find something cheaper if you don’t mind changing planes in the Middle East. We have lovely accommodation options in Delhi but tend to use it less due to the pollution and less appealing climate. Kolkata, an interesting and enjoyable city, is not served by direct flights from the UK, but good connections are available via the Middle East. We generally recommend an overnight stay in the city of arrival, before flying on to Bhuj, Bhopal, Raipur or Bangalore, all of which take an hour or two. We will have someone there to meet you at each airport. Good, affordable and well-positioned accommodation is hard to find here. Happily, Abode Boutique Hotel is a beautifully designed, centrally located hotel with rooms to suit a range of budgets. It supports a number of ethically-driven businesses: their spa has blind masseurs, the taxi drivers they supply are Muslim women, and the tours they recommend are via a company of whose profits 80% go to charity. There are many options in this vast city. We favour Colonel’s Retreat for those who want to be in the city. It’s a smart guest house in relatively leafy Defence Colony, with a great rooftop restaurant and just a short walk to the metro. For a gloriously soft, very Anglo, landing or a pampered last night, Tikli Bottom is an out of town home stay. A beautiful Lutyens style bungalow set in lush gardens with kind, old-school, English hosts.